Works like our ready to use product, but in an economical concentrated formula. 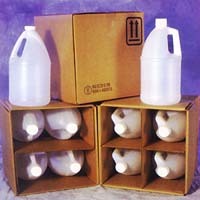 Two (2) ounces makes a quart of high quality glass and hard surface cleaner. Dark Blue. Strong Ammonia odor.